Home News & Events BlogWhat’s Trending in Employee Benefits Open Enrollment? What’s Trending in Employee Benefits Open Enrollment? Open enrollment might only last for a few weeks out of the year, but it’s often talked about year-round – and for good reason. For employees, the benefits decisions made during open enrollment will impact them for the entire year that follows. For employers, open enrollment is the one chance to make sure employees are satisfied with their benefits package. Since companies invest a great deal in benefits, and since benefits can have a significant impact on job satisfaction, this is no trivial matter. According to a survey conducted by the International Foundation of Employee Benefit Plans, 80 percent of organizations say that most participants don’t open or read benefits materials. If big booklets don’t work, employers need something that does. Technology can provide that. Emails, text messages, websites and interactive online tools are all great ways of communicating important benefits information with employees. Technology offers a few key advantages. It helps break down information into bite-size pieces that are easier to understand. It can make reading about benefits an interactive process. It can be accessed anywhere. Employees probably won’t carry big benefits booklets with them, but they will carry their smartphones with them. This means it’s possible to learn about benefits while waiting in line or sitting on the bus. Although technology is an important part of modern enrollment, some employees are less tech-savvy than others. A successful open enrollment should use a range of communication methods, including face-to-face meetings, group presentations, Q&A sessions, written materials and digital tools. This way, no one gets left out. The modern workforce is diverse. Workers come from different generations as well as different cultural backgrounds. Every individual has different needs, preferences and worries. Consider options for all types of employees. Student loan benefits, financial wellness programs and paid community service days are a few options currently gaining momentum. Employers can satisfy everyone by offering a healthy range of traditional and voluntary benefits. Choosing the right benefits isn’t just about crunching the numbers. It’s also about protecting a person’s family and future. These are very emotional topics, and employers should recognize this. Employee Benefit Adviser found that employees most often cite emotional reasons – like peace of mind and responsibility – for benefits decisions. Employers can appeal to these feelings and boost engagement by including emotion-based examples in their discussions of benefits. Health Savings Accounts are an increasingly popular way of dealing with high deductibles. 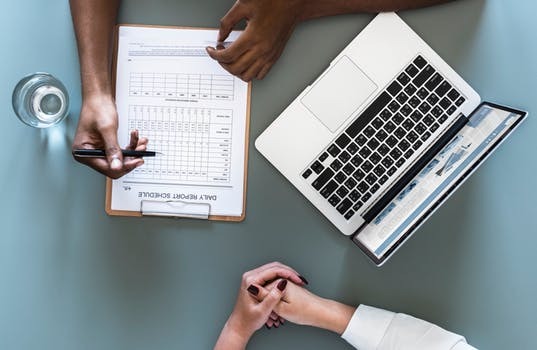 According to the CDC, the percentage of working-aged individuals enrolled in high-deductible health plans (HDHPs) increased from 24 percent in 2011 to 34.9 percent in 2016. Have questions? Need help with planning your open enrollment? Heffernan’s Benefit Advisory Services team can help!